Summer is coming to an end and everyone is gearing up to head back to school. This means new clothes, new shoes and new school supplies. By now everyone knows the basic back to school items you need, so we won’t bore you with a generic list of supplies. We’ve compiled a top five list of new and unique items you’ll want to get for your student this year. We have a top five list for teachers as well, which we will post later in the week. Check out these great items and be sure your son or daughter starts the new year off right. 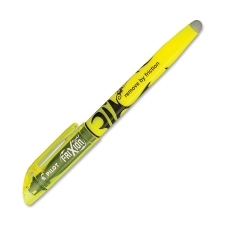 FriXion Light Erasable Highlighters: This product from Pilot provides a very helpful improvement to highlighters; the ability to erase. We’ve all made the mistake of accidentally highlighting the wrong sentence. The bright fluorescent ink of highlighters makes these mistakes very noticeable…until now. Thermo-sensitive ink can be erased with friction generated by the other end of the pen. Note-taking just got a whole lot better. 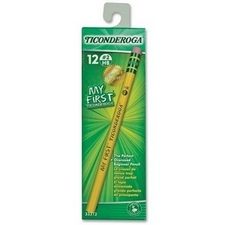 Ticonderoga Pencils with Microban: Schools are massive breeding grounds for germs, and as much as we encourage frequent hand washing, often times it goes in one ear and out the other with children and grown-ups alike! There are tons of antimicrobial products out there now, but chances are, pencils are one of the most frequently touched items at school. This unique antimicrobial protection will help in your fight against germs this year. 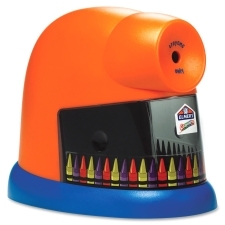 Crayon Sharpener: Pencils aren’t the only thing that needs sharpening, crayons get dull too. With an Elmer’s electric sharpener, your crayons will last longer and color better. It even comes with a cleaning brush to remove wax buildup. Adhesive Dispenser: Glue is messy and regular tape gets crinkled up far too easy. 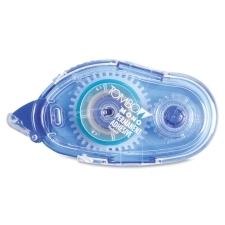 This great product from Tombo combines the dispenser typically used with correction tape with a strong adhesive. Great for crafts, school projects and it’s even safe to use on photos. 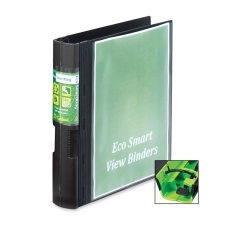 EcoSmart Ring Binder: There’s a whole list of awesome features of this Cardinal binder. It’s made from 90% recycled material and it’s PVC-free, so it’s a feel good purchase. It has a unique, split-ring design to help eliminate gaps that cause pages to tear when you flip through. Whether it’s in your book bag or on a shelf, the ergonomic spine makes it easy to grip. That’s just a few of the reasons why this binder made our must-have list this year. Contact your FSIoffice customer service representative for more information and pricing on these great items. Previous Post: Fast food, fast work & fast life ?